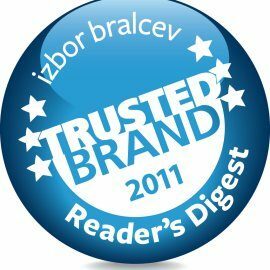 Mladinska knjiga and the editorial board of the Reader's Digest magazine held a festive award ceremony to present 38 Trusted Brand awards 2011 to the most trusted brands in Slovenia, as voted by the consumers from among 6,997 entries. 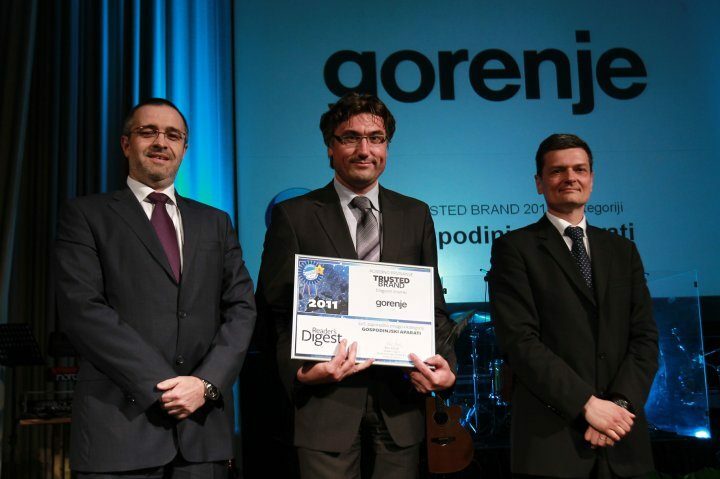 Gorenje received the Trusted Brand award for the fifth consecutive year. In this year's Trusted Brand survey, as many as 69 percent of 1005 correspondents chose Gorenje as the most trusted brand among home appliances in Slovenia. This reasserts Gorenje's reputation as a leading national brand. Gorenje is a brand with high recognition and distinction among consumers. Its reputation of excellence and quality relies on more the sixty years of presence in the market. "Gorenje brand has been developed in Europe for several decades and in this time it has become a distinctive, recognized, and above all an important brand in most European markets; now, it continues its development in the Asian and Latin American markets," commented Mr. Aleksander Uranc, head or marketing at Gorenje, upon the occasion of receiving the 2011 Trusted Brand award. Gorenje is a company with an ambitious vision, continuously investing into revision of technological processes at all manufacturing programs and launching new generations of technologically advanced, innovative, environmentally friendly appliances boasting distinctive design that immediately catches the eye. Gorenje will again present its novelties and innovations between September 2nd and 7th at the international tradeshow IFA 2011 in Berlin. 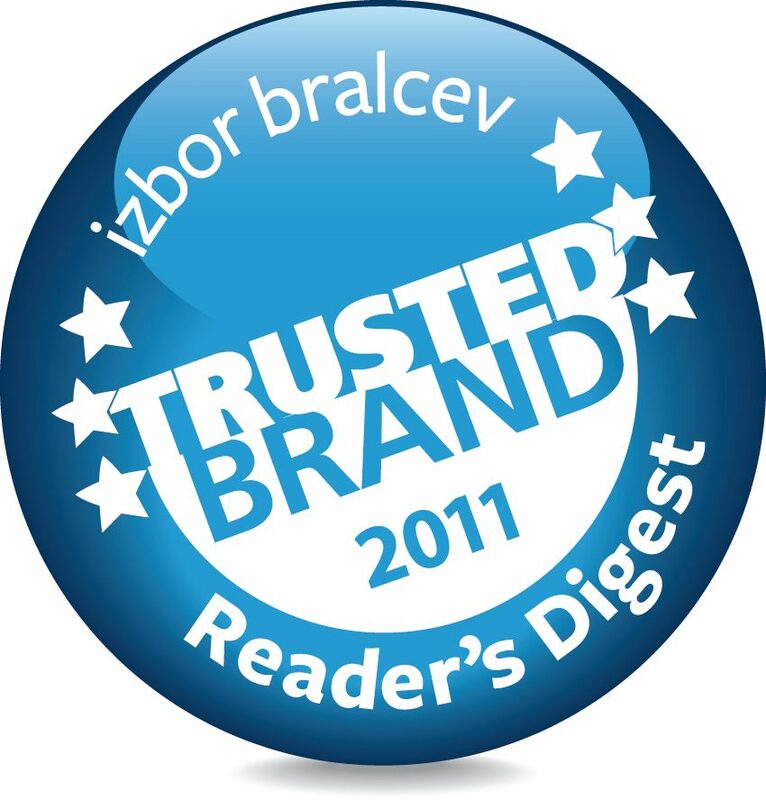 In Slovenia, the Trusted Brand survey has been conducted each year since 2006. This year, it was carried out for the first time as a part of the pan-European Trusted Brand survey that included 16 countries. The pan-European survey includes 20 global product categories. To this, the Slovenian survey added 18 local categories. The award is presented to those brands that the consumers have the most confidence in. The consumer rating is based on trust, quality, excellent value, strong image, understanding of the consumer, and recommendation of the brand to others.